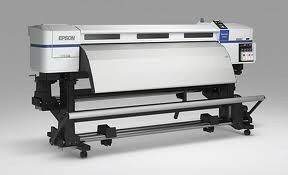 The Epson SureColor SC-S30600 has received the prestigious European Digital Press Association (EDP) Award for the Best Wide Format Roll to Roll Printer up to 1.6m. The printer beat competition within the industry using its fast speed and its great value pricing. "This printer has been designed from the ground up to combine Epson's renowned engineering with our latest TFP micro-piezo print-heads, new Epson UltraChrome GS2 ink and new ease of use features," says Richard Barrow, senior product manager, Epson Europe. "The result is a perfect all-round production printer for a wide range of long-life signage and display applications." SMGG has seen massive interest and demand since the Surecolor was launched. Customers have commented repeatedly on its fast speed and quality. The machine benefits from advanced features normally seen on a printer costing much more, such as rear friction feed, front auto take up roll with dancing bar, and quick dry elongated heater. In combination with the new Epson Piezo printhead to give superb output and price point.